The Waverly, by the way, was famous for being the first theater to run midnight screenings of Rocky Horror Picture Show. The building was eventually abandoned and became derelict until a recent renovation and reopening by the IFC (nice to see happy endings for old theaters!). 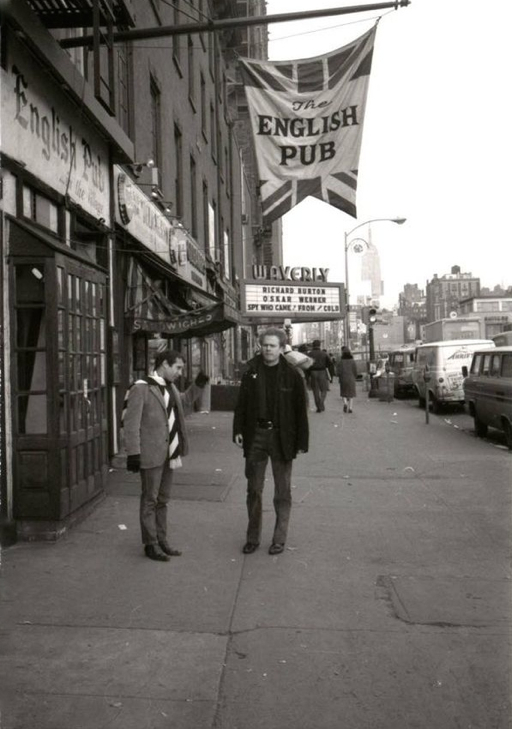 At the same time this week, I've been re-reading Bob Dylan's autobiography, so the Village has been vivid in my mind. But the connections continued! As I was watching the wonderful David Gilmour (Pink Floyd) documentary, Wider Horizons, this morning I was struck to hear that his parents moved to the Village permanently in 1965 (did they see Spy Who Came in From the Cold at the Waverly? ), and that they had send David a few records from an earlier trip for his 16th birthday in March '62. Gilmour still owns the Newport Folk Festival records, which he showed on-screen. 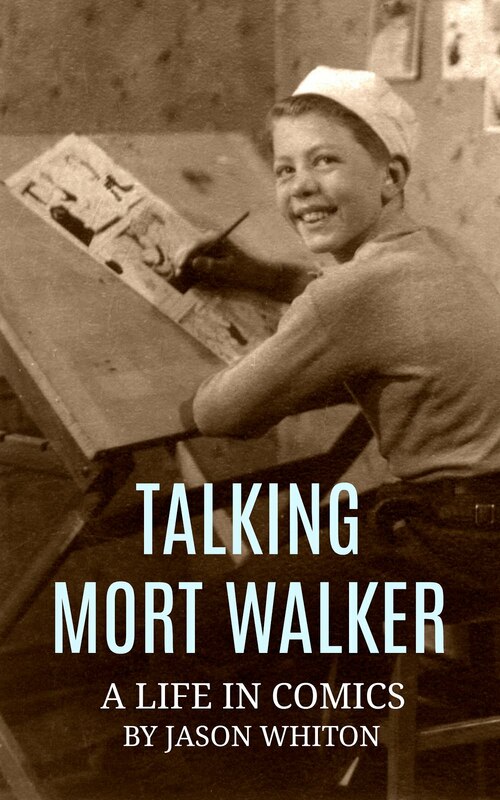 His parents also sent him Bob Dylan's first album (within a week of release) and Pete Seeger's guitar instruction records. So many great British musicians of that era found inspiration in skiffle, and from the players who launched the original folk and blues movement such as Pete Seeger and Leadbelly. It was cool to hear Gilmour reminisce about hearing Seeger's lessons as a kid, and pretty amazing to think that such simple steps like tuning and basic chords would lead to such iconic music. But there it was again, the Village. And connections kept coming. Gilmour then met up with Jamie MacColl (Bombay Bicycle Club) in the documentary to sing Wish You Were Here on stage. And there we were once again, back in the Village and the folk boom. If you didn't recognize the name, Jamie's grandfather was the very famous British singer and folklorist, Ewan MacColl, and his grandmother is none other than Peggy Seeger- sister of Pete Seeger. *added: And the icing on the cake? Gilmour and his band Jokers Wild played a gig at Great Shelford in Cambridge in October 1965. Who was also on the bill? The Pink Floyd and... Paul Simon. 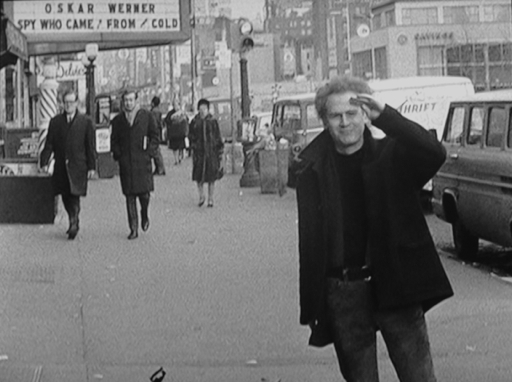 Lots of full-circle moments happening on my radar this week, all because I had to pause a video to find out what movie was playing in the background of a Simon and Garfunkel TV special. Here are my quick shots of the screen and a vintage photo as evidence. 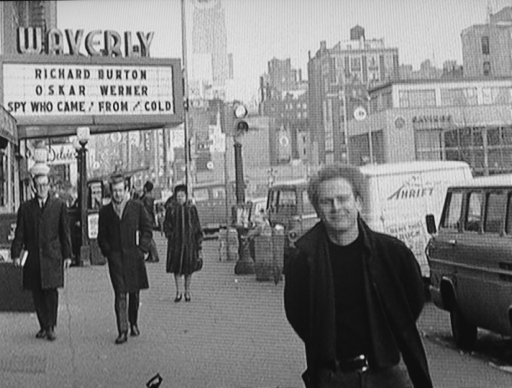 *Added connections #2: It turns out my aunt and grandparents saw Spy Who Came in From the Cold at the Waverly in 1965! My aunt was twelve and said the film was frightening and that the rainy night added to the tone of the evening. Small world indeed! Related posts: Pete Seeger: R.I.P., Folk Boom, Pete Seeger Grammy, Dylan at Newport, Andy Warhol: 15 Minutes, 60s Overdrive, Make Love in London Psychedelic Celluloid, 60s Exposed. 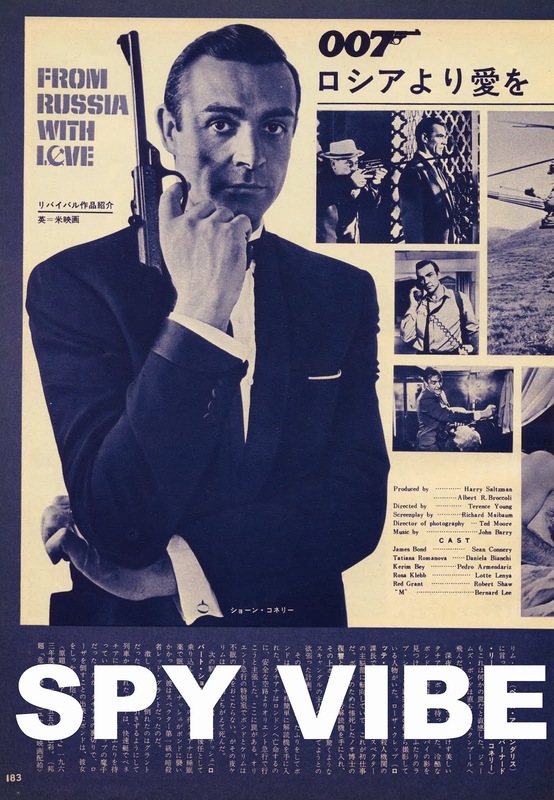 Spy Vibers, You can now hear my new radio segments with Cocktail Nation: Episode #1 (Danger Man) and Episode #2 (The 10th Victim), Epsiode #3 (On Her Majesty's Secret Service). Enjoy! 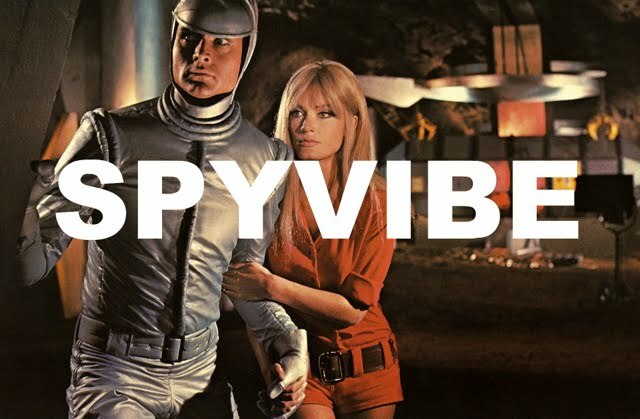 Selected Spy Vibe Posts: Roger Moore R.I.P., Spy Vibe Radio 3, Sgt Pepper 50th, Satanik Kriminal OST, 60s Overdrive, Make Love in London, Spy Vibe Radio 2, Spy Vibe Radio 1, James Bond Strips, Propaganda Mabuse, Fahrenheit 451 50th, Interview: Police Surgeon, XTC Avengers, 1966 Pep Spies, Batman Book Interview, Exclusive Fleming Interview, Avengers Comic Strips, Robert Vaughn RIP, UNCLE Fashions, Thunderbirds Are Pop!, Interview:Spy Film Guide, Lost Avengers Found, The Callan File, Mission Impossible 50th, Green Hornet 50th, Star Trek 50th, Portmeirion Photography 1, Filming the Prisoner, Gaiman McGinnins Project, Ian Fleming Grave, Revolver at 50, Karen Romanko Interview, Mod Tales 2, Umbrella Man: Patrick Macnee, New Beatles Film, The Curious Camera, Esterel Fashion 1966, Exclusive Ian Ogilvy Interview, 007 Tribute Covers, The Phantom Avon novels return, Ian Fleming Festival, Argoman Design, Sylvia Anderson R.I.P., Ken Adam R.I.P., George Martin R.I.P., The New Avengers Comics, Trina Robbins Interview, The Phantom at 80, 007 Manga, Avengerworld Book, Diana Rigg Auto Show, The Prisoner Audio Drama Review, David McCallum novel, Andre Courreges R.I.P., Who's Talking on Spy Vibe, UFO Blu-ray, Avengers Pop Art.